Arangham presented National Dance Company of Wales in association with Media Mix and British Council. Anita Ratnam presented NEELAM.. drowning in bliss for DHARANI FESTIVAL. Anita Ratnam presented her persona as a dramatic icon and Sharan Apparao a gallerist and curator showed her instinct to collect fine examples of various objects and forms of art. 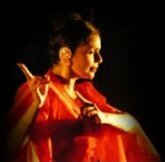 Anita Ratnam presented 'HER and Bliss..' for Vikram Iyengar's Ranan. NEELAM.. drowning in bliss for the 52nd Annual festival (Mar 18-22,2011) of South Indian Cultural Association (SICA). Anita Ratnam was Chief Guest for The International Women's Day celebration at SDNB Vaishnav College and gave a talk and presentation of 'A million Sita-s'. 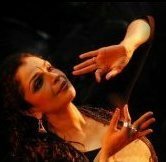 Anita Ratnam presented NEELAM - lecture and demonstration on Music and Dance for the International Conference on Music and Aesthetics.